Tour Group: Mostar is about 130 kilometers south of Sarajevo and 130 kilometers north of Dubrovnik. If you want to quickly visit the bridge and don't want to stay in Mostar for the night both are great starting points for day trips. 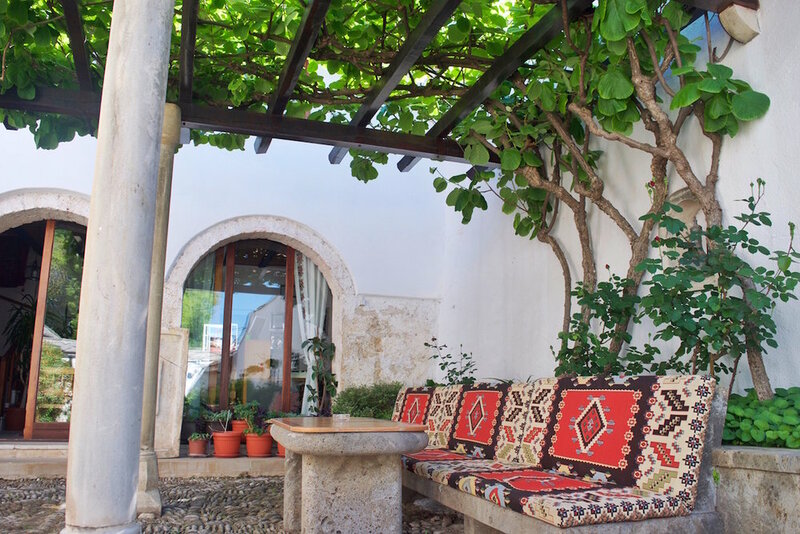 There are many companies that coordinate tours of Mostar from both towns. Do not worry about booking in advance. Rental Car: It is possible to drive yourself and renting a car is possible in both Croatia and Bosnia. Google maps works great in both countries and the roads are very easy to drive on. Train: There is a train from Sarajevo to Mostar that is very cheap but only take this if you are traveling in a decent sized group. There are gypsy's on the train who rob tourists if they are alone. I'm not kidding. Yes, gypsy's. Mostar is extremely small and you will be able to walk around the whole town quite easily. The main bridge is in the center of the city. Obviously, the main reason most make the trip to Mostar is to see this gorgeous bridge. Stari Most is a 16th-century Ottoman bridge in the city of Mostar in Bosnia and Herzegovina that crosses the river Neretva and connects the two parts of the city. The Old Bridge stood for 427 years, until it was destroyed in November 1993 by Croatian forces during the Croat–Bosniak War. The bridge was reconstructed using original stones they found in the river and reopened in July 2004. The Neretva, also known as the Narenta, is the largest river of the eastern part of the Adriatic basin. Karagöz Bey Mosque is a mosque in the city of Mostar. Its big dome and high minaret it is the largest in the region. I went to the waterfalls on a private tour with Bestination Tours. You can read all about that tour here. But the waterfall is super close to Mostar and I highly suggest you visit the watering hole for a bit of swimming if the weather is nice. A small village built in a natural karst amphiteatre along the Neretva river. Again, I visited the small town on a private tour with Bestination Tours. You can read all about that tour here. Vrelo Bune is the natural and architectural ensemble at the Buna river spring near Blagaj kasaba. I feel like a broken record butI visited the town on a private tour with Bestination Tours. You can read all about that tour here. If you want to stay in the actual city of Mostar (not on the cliff above the city) there aren't many options. I stayed with Muslibegovic Museum and Hotel and LOVED my stay there. 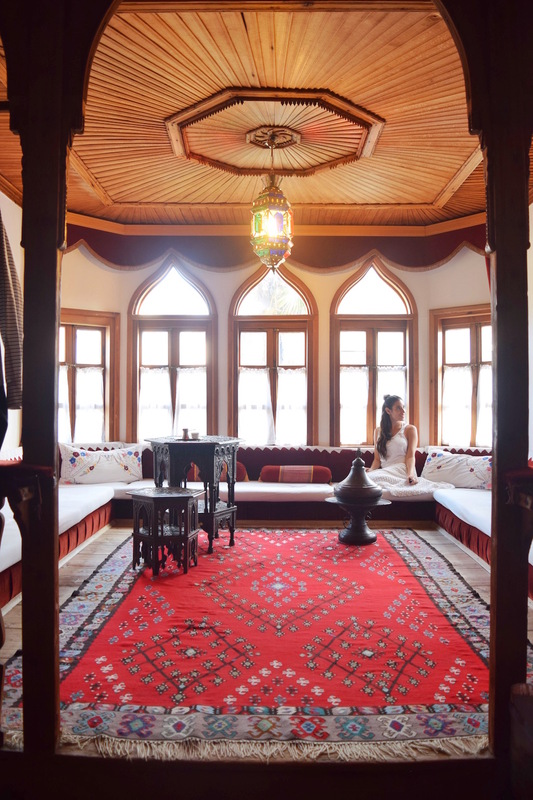 The hotel is furnished and true to Ottoman Empire days and quite beautiful.